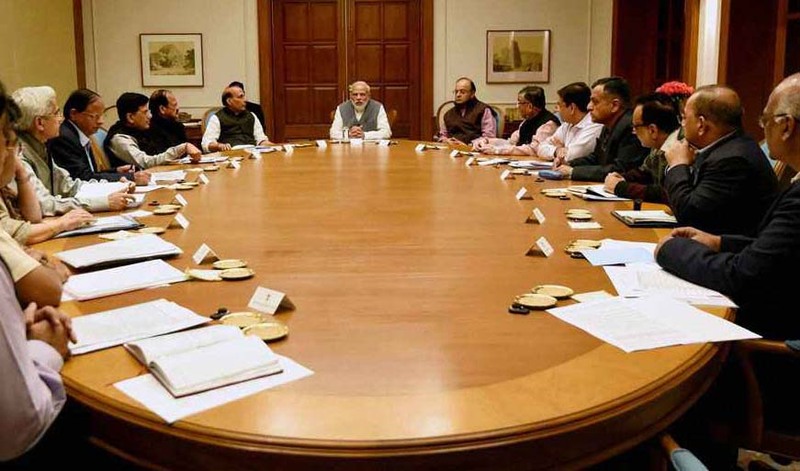 The Union Cabinet led by Prime Minister Narendra Modi on Wednesday has approved landmark constitutional amendment to increase powers of Autonomous Councils in Sixth Schedule areas of the Northeast. Informing about the Union Cabinet’s decision on Wednesday, the Office of Union Home Minister Rajnath Singh on its Twitter handle on Wednesday stated that the proposed amendment to Article 280 and Sixth Schedule of Constitution will give more powers to Autonomous District Councils of Assam, Meghalaya, Mizoram and Tripura. The proposed amendments will have elected village and municipal councils ensuring grassroot democracy. As per the Cabinet decision, the Finance Commission will recommend devolution of financial resources to the ten Autonomous District Councils, village and municipal councils in Sixth Schedule areas. More funds will come in for local government institutions for development works in these tribal areas, the HMO stated. The State Election Commissions will hold elections to Autonomous Councils, village and municipal councils in the scheduled areas of Assam, Mizoram and Tripura. “This fulfills commitments of Memorandum of Settlements signed by Centre, Assam & Meghalaya states, United People’s Democratic Solidarity(UPDS), Dima Halam Daogah(DHD) and Achik National Volunteers’ Council(ANVC),” tweeted the HMO. As per the proposed amendment, there will be reservation of one-third of seats for women in village and municipal councils in Sixth Schedule areas of Assam, Mizoram and Tripura and at least two nominated members in all autonomous councils to be women. Proposed amendment to Article 280 and Sixth Schedule of Constitution to give more powers to Autonomous District Councils of Assam, Meghalaya, Mizoram and Tripura. According to media reports, the Karbi Anglong Autonomous Territorial Council and Dima Hasao Autonomous Territorial Council will have access to decision-making in 30 more subjects than earlier, including public works, forests, health, urban development and food. Besides, the amendments propose to rename the existing autonomous councils as Karbi Anglong Autonomous Territorial Council (KAATC), Dima Hasao Autonomous Territorial Council (DHATC), Garo Hills Autonomous Territorial Council (GHATC), Khasi Hills Autonomous Territorial Council (KHATC), Jaintia Hills Autonomous Territorial Council (JHATC) and Tripura Tribal Area Autonomous Territorial Council (TTAATC) as the present jurisdiction of these councils extend to more than one district. Meanwhile, Meghalaya Chief Minister Conrad K Sangma has thanked Prime Minister Narendra Modi and Union Home Minster Rajnath Singh for the historic decision. Thank you @narendramodi ji and @rajnathsingh ji for the historic decision to approve constitutional amendment to substantially increase financial resources and other powers of Autonomous Councils in the Sixth Schedule areas of #Northeast.